You’ve filed your articles of incorporation, your marketing plan is written, and your new business is ready to roll. There’s only one thing missing: the website. If you’re like most of our clients, your website is the very last thing you take care of for your new business. It’s important of course – critical even – and yet you just can’t seem to find the time to locate the agency that’s actually going to build it for you! In this post, I’m going to share with you some tips, tricks, and common pitfalls of the website design provider search so that you can navigate it easily and without too much of a headache. And since we’re based in Minneapolis, Minnesota, we are going to go ahead and put a Minnesota spin on things and add in some challenges and considerations unique to our northern territory. Minnesota has more web designers per capita than any other state in the union. …Okay I just made that up on the spot, but honestly it might be true. As one of the best-educated and wealthiest states, and also with our affinity for technology, everyone and their mom seems to be able to throw together a website. In addition to those things, many popular schools offer competitive Web Design degrees, most notably Mankato State and St. Cloud State. You don’t need a degree to build a website but it doesn’t hurt! And yet, in some ways it’s not a particularly competitive industry. In the small business arena, many business owners simply hire the first guy they talk to. While I’m more than happy to take on new clients without having to directly face competitors, there are certainly downsides. Sadly, a lot of the quality out there is not good. Many of the individuals you’ll find have been building sites more or less the same way for 15 years or more. Do you remember what the internet was like 15 years ago? I try not to! Trust me when I say you don’t want that person building your website. Referrals are critical in this business and you’ll find that the best agencies generate a huge percentage of their business through client referrals. But even bad apples can get by through aggressive marketing tactics. I generally recommend being suspicious of any development shop that uses these techniques! Sadly, there are also huge numbers of predatory companies out there. The majority of them target niche industries such as dentists, chiropractors, accounting firms, realtors, schools, etc. What they peddle is generally a heavily templated, pre-packaged website for a very low or zero up-front cost. The offer seems compelling at first but it’s generally because they are making unrealistic claims or the client simply doesn’t know what they are getting. These websites frequently share identical content with dozens, hundreds, or even thousands (I actually saw this in one instance) of other websites. This guarantees you will never be found in search engines, and it also makes for extremely ineffective copy. “One size fits all” does not apply to marketing or websites, I can promise you that. Over time, the monthly fees paid start adding up and before you know it, that “free” investment you made has ballooned into thousands of dollars. I could go on and on about other reasons you should avoid this route including the complete inability to customize anything, generally terrible service, complicated or even misleading contracts, and much more, but I think you get the picture. While there may not be many of these companies actually based in Minnesota, they often market heavily here due to the large numbers of small businesses and professional services. I may have painted a grim picture for you, but I promise you there is hope! There are many fantastic designers in our great state and you can find them. The right development team can help you figure out exactly what your website needs and execute it flawlessly, all for a reasonable price. That may sound like a pipe dream but it’s not. You just have to know where to look, what to look for, and the questions to ask. Small business owner? You can’t afford to have your website fall behind. Enter your email to receive weekly digests of guides and tips to maximize the return on your website investment. You should have some idea of what you’re looking for in a website before you go and talk to a development company. This will help you narrow down which ones to talk to and will also prevent them from taking advantage of you. Your website is essentially the hub of all your marketing efforts. You need to have a cohesive marketing strategy in place in order to best plan for your website. How are you going to get people to the website? How should your brand present itself? Who is your target audience? These are all questions you should have answers to. A good website company will be able to help you fine-tune these as well, but there is tremendous value in having this complete before you actually talk to anyone. Ideally you would have a mission statement and purpose prepared as well. These are what guide every action of a business and its employees and without them, you’ll simply be trying things blindly without any context or sense of what’s working. Start making lists of everything you need from your site. If you plan on selling things online, you’re going to need a shopping cart platform and everything that goes with that. Maybe you need to digitize some client forms and allow them to be submitted online. Any tools / functions that you might need should be mentioned. This will help eliminate many providers because they only cater to one niche. Knowing what functionality you need will help you ask the right questions and receive accurate quotes. Now that you know what functionality you need, you can start narrowing down what platforms and technology might work best for you. You should take a look at WordPress vs. Joomla vs. Squarespace, etc. Look up plugins and addons that might help you out. As for platforms, I figured I’d give my two cents about my experience with some of the more common platforms. *Disclaimer: we work almost exclusively with WordPress and think most people should too. So we are going to be biased towards it! WordPress is the most popular platform in the world, by a long shot. It has virtually unlimited support, it has one of the best e-commerce platforms available (WooCommerce), has virtually unlimited functionality with the plugins available, and almost every web designer knows how to work with it. Not a bad deal! Oh and it’s free. Joomla! is very similar to WordPress on paper, though not nearly as widely used. It seems to me that its user base has stayed steady while WordPress has continued to grow and take over the market. In my own personal experience with Joomla!, I’d have to say that I’m not surprised! Working with its backend is not very user-friendly and it seems to have many issues of its own. It’s also free, but just seems inferior to WordPress in every way. Oh, it might not have as many hackers targeting it but that’s because, well… It’s not as popular. I don’t really know much about Drupal but I’ve never really encountered it. As far as I can tell it’s used exclusively by outsourced Indian companies selling cheap websites to clueless Americans. I’d avoid it. There are a variety of do-it-yourself platforms available out there such as Squarespace, Godaddy Website Builder, Wix, Weebly, and more. These can sometimes be the right choice but if you’re reading this post, you probably already know that’s not for you. Anything short of that and I would steer clear. You’ll find yourself extremely limited on what you can do with your site among a large list of other downsides. From a business point of view, the cost of a proper website is tiny compared to the return it provides. Don’t cheap out now or you’ll sink your whole enterprise. If you did happen to meet all of those requirements, I would choose Squarespace of all the listed options. It generally looks nice and functions well and I’ve heard reports that it’s the easiest for beginners to work with. There are plenty of other platforms out there, some with good reasons to use them. In particular, e-commerce sites may be interested in such platforms as Magento or Shopify if they’ve reached a certain size. They aren’t a good choice for startups or small stores simply because of their high costs. Do you think you’ll need to make regular changes to the website? Will you need to be adding functionality down the road? It’s important to think through these things and know your needs before speaking with an agency. You’re going to want to be able to communicate these needs clearly. 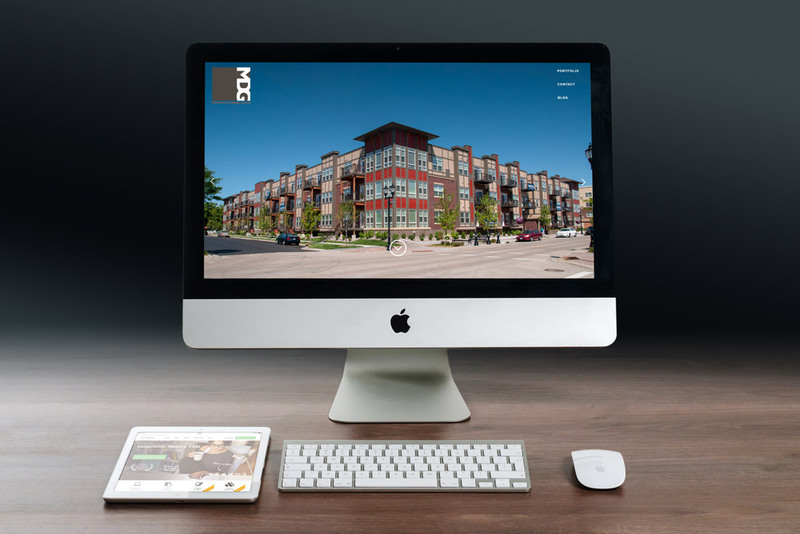 In my conversations with clients, I have learned that a large percentage of the larger website shops in the Twin Cities and beyond tend to be there for the large projects but are nowhere to be found once the site is built and maintenance is needed. I’ve also heard countless horror stories about single-person shops that went AWOL for months at a time when basic changes were requested. Somehow, these stories seem to be the exception, not the rule. There is quite a bit of turnover in my industry for the most part and this is why! We’re of course happy to take these people on, however. We love website maintenance! Are you particularly computer-savvy? Do you have someone on your team who is? Different website options and providers come with self-maintenance options of varying difficulty. WordPress by itself is often learnable, but the curve can be quite steep depending on how you get set up. Technology has come far enough along that some of the front-end editor tools are getting quite good, and you can edit your website without any kind of coding or technical ability. We use Cornerstone on all of our websites, which we think is the best on the market right now. You are going to want to talk with prospective agencies about what they provide in this arena. You don’t want to be stuck paying them every time you have to change a single word! Website hosting is extremely important and for some reason people don’t like to talk about it! 90% of the time, the reason a website is going slow is because they have bad hosting. Godaddy may only charge $5 per month for their shared hosting but when you’ve added 30 plugins to your WordPress site, you’re going to be feeling the limitations of that. Plan for this. Plan to spend some actual money on quality hosting. If you use WordPress, research the best WordPress-specific hosting like what we offer. It’s often not that much more costly but your visitors will thank you! Not all design companies offer their own hosting, but you should make an effort to do some research ahead of time anyway. So now you’ve done all the prep-work and it’s time to actually locate some agencies that can help you build your new website. In this section, we’ll go over some of the methods of location and the pros and cons of each. Searching your own network of connections is generally a great place to start. If you know other business owners, check out their websites and find a handful you like. Reach out to them and find out who they used. And more importantly, you might want to ask them about their experience. Not all quality finished products got that way smoothly! Asking actual clients about their experiences, especially ones you know, will often yield considerable insight into the quality of a company. You could also try simply posting on social media and asking your network if they’ve worked with any quality developers. You’re likely to get a lot of people simply supporting people they know (“I’ve got a cousin that builds websites!”), but if you can get any first-hand experiences, those are likely to be the best referrals. Google is an obvious choice for finding your designer. Simply searching “Website Development Minnesota“, for example, will certainly find you the kind of companies you are looking for. But you will want to be careful! A search like this won’t necessarily yield the best companies, just the ones who are best at SEO and/or the biggest. It is also likely to find the most expensive ones available. Expensive doesn’t always mean poor value by any means (you often – but not always – get what you pay for in this industry), but depending on your needs, you may not have the budget for one of these top-tier agencies. I recommend using Google to aid in your search but don’t rely on it exclusively! You may want to check Google Maps as well. There are a plethora of online directories that will have listings of all the website designers in a particular area. These can be great tools to aid you in your search. They do vary wildly in quality, though, so I don’t know that I would venture much further than that. In addition to simply listing many of the local businesses, part of the value of these services is that they generally include reviews of the businesses. This can help you weed out the bad or small agencies before you get too involved. You may even want to specifically look up agencies you’ve already found on Yelp to see if they have any reviews. Which method to choose? All of them! I strongly recommend you spend some time with all of these methods to generate a list of possible organizations you might work with. Each has its own pros and cons and may yield certain types of companies. You want to broaden your horizons as much as possible so that you can see what’s out there before making a decision. Resist the temptation to act on a “good feeling” at this point and pick a company without having done your due diligence. This isn’t an emotional decision: you need to plan it carefully! You’ve now got your list of local Twin Cities-based website development companies and you’re wondering where to go from here. In this step, we’re going to do our best to whittle down the list to just a handful (3-5) that we are actually going to reach out to and request proposals. The following are some tactics you can use to eliminate most of the options! Luckily in the world of website development, you have greater insight into the quality of work than you would with, say, a doctor or accountant. You don’t need to rely on testimonials or bold claims; you can take a look at websites they’ve already built! This is your single greatest tool to see how good they are. You may not be a website expert, but you use the internet and will be able to form rapid opinions when you see their portfolio. Most development shops make terrible websites, you’ll soon find out. Obviously terrible, even to the layman. How exactly do these companies stay in business? Quite honestly, I have no idea. And that’s not the point of this article. Luckily for you, this will help you narrow down that list quite rapidly. Don’t hold back; chop it down with reckless abandon! We want only the cream of the crop. But there is more to a website’s quality than initial reactions, right? Of course there is! Which is why you’ll want to look for some specific things, as seen in the next section. Watch out for companies that are lacking in any of the following areas: Calls-to-Action, Design, Functionality, or Usability. Most people who get into website design come from one of the following backgrounds: Graphic Design, Programming, or Marketing. Stereotypes are generally bad, but in this case, they can be a useful placeholder to illustrate how this can be a problem. Pick the first programmer that comes into your head. 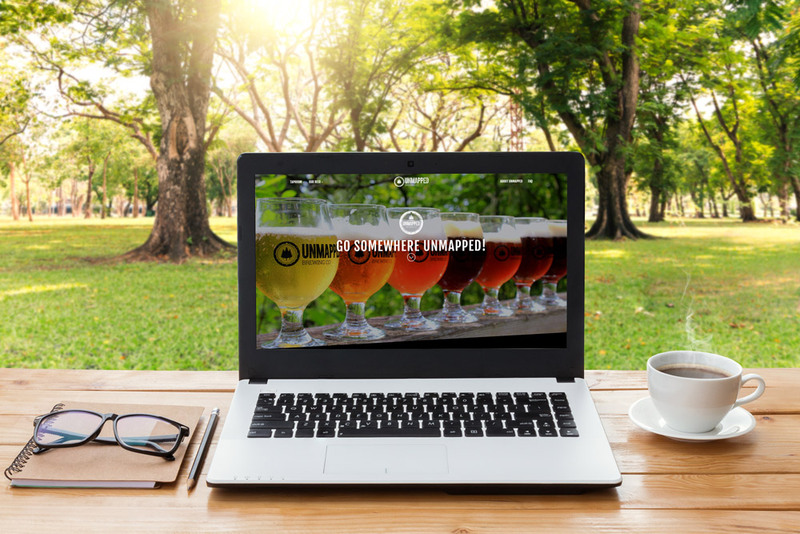 Now imagine you’ve entrusted them with the creation of your entire website, including making sure it relates to your visitors, properly represents your brand, and is prettier than the Tulip fields of Holland. What are they odds this individual can give you that? The problem is, these three disciplines (Graphic Design, Programming, & Marketing) require very different types of thinking, and generally very different types of people. It’s common for one person to be good at one, sometimes two, but rarely all three. This is why it’s often particularly risky to work with freelance developers to build your website. These individuals are almost always programmers by trade, and sometimes graphic designers. Very rarely are they marketers, which I would argue is the most important discipline for building an effective website that actually drives business. But if a site is lacking in any of these areas, it will suffer. It needs to look great to best represent your brand; it needs to function great so that users can navigate around properly and get the information they are looking for; and it needs to convert so that you actually get new business. You’re going to want to take a second look at the portfolio of each of these agencies and look for specific things to make sure they are well-versed in all of the required fields. The existence of calls-to-action are generally a good indicator that they’ve got the marketing chops. Of course you can blindly add these without knowing a thing, but most agencies without a marketing focus won’t even bother. Go through the portfolios and check a handful of their websites and make sure they’re there! This is probably the one you based your initial reactions off of the first time you went through portfolios. This requires the least explanation and is the most obvious. If the site looks really bad, it probably is. You want to work with a company that is keeping up with modern design trends and has an eye for bringing out brands. Again, you don’t need to be an expert to recognize this. This area is a bit harder to gauge without going really in-depth, but there are still things you can look for. Try navigating around these websites. Try clicking buttons. See how long it takes you to find their contact information. How long did it take you to figure out what the company actually does? These are all important things to look for and good indicators that they understand UI/UX design and how to code a site properly. By now you should have a small list of companies to actually reach out to. It’s time to get some proposals! In step #1, you made a list of all your required functionality and generally determined the scope and scale of your needed website. This will come in handy now that it’s time to actually talk to some of these companies and start getting proposals. Having done all the prepwork, it shouldn’t be all that hard for them to give you a solid metric for what your website will cost. Simply reach out, schedule a phone call / meeting, and they’ll let you know what they need! Once you’ve gathered together all of the proposals, it’s time to compare what’s being offered and make your choice. Tip - Should you share your budget with your web developer? I generally wouldn’t recommend sharing your budget with a prospective company unless it’s objectively very small, or you’ve already been given a proposal and you’re trying to see how you can get the figure lower. Otherwise you’ll find that proposals never come in lower than your budget and you’ll find yourself overpaying. Despite what you’ve requested, it’s natural that different agencies are going to provide very different services. It’s going to be tricky to navigate their proposals and compare them directly, but there are some things we can look out for to make sure you’re getting your money’s worth. Watch out for keyword and service stuffing! Just because a proposal is longer and includes more buzzwords does not mean that it’s offering more. There’s nothing wrong with a proposal being thorough; you just need to be aware of what’s valuable and what’s not. Here is a brief list of things that might seem very valuable but are generally fairly basic services and should not have a huge weight on your decision. They can still add up and they may be very important, of course, but just know that by themselves they don’t account for a huge chunk of a website’s cost. On the other hand, there are some other things that you should look for that do contribute heavily to cost and value. If one company is offering any of these and another isn’t, you should expect them to charge more for that service. In-depth marketing planning such as keyword analysis, competitive analysis, etc. Add-on services such as ongoing maintenance, website hosting, updates, etc. This is by no means an all-inclusive list, but it should be a good starter guide to help you start determining the actual value of a proposed website. You’re going to want to look through their portfolios again after getting to know their proposals. You’ll be able to make much more sense of the sites they’ve built and will be looking at them with fresh eyes. Some of the services they are trying to sell you might just seem more valuable now that you’ve read more about them and seen them again in the wild. But don’t get too attached to a company just yet! Especially based on design alone. 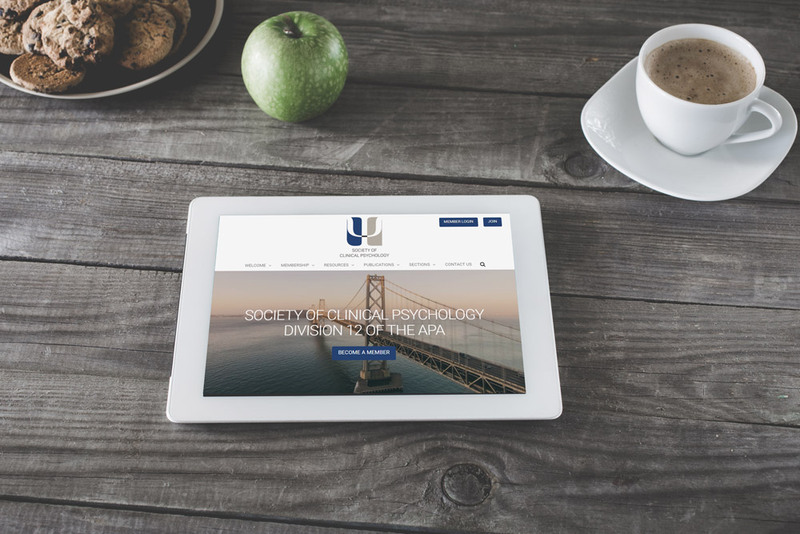 It’s easy to picture a beautiful website in your head and start thinking that only one company can give you that. But resist the urge! There’s more to do yet. It’s critical to consider ongoing cost. This goes along with comparing apples-to-apples. It’s easy to look at a proposal that includes 6 months of maintenance and support after the site is launched and only see the higher price tag. But that wouldn’t be a rational way to view things. Many proposals will not mention any ongoing costs, but that doesn’t mean there won’t be any! Depending on your needs, you could need quite a bit of help after the site launches and that could end up being quite costly. You may even want to consider going back to any company that didn’t offer any maintenance terms and ask for them to provide a quote for a comparable service to what they others are offering. Additionally, consider other ongoing costs like website hosting, WordPress plugin and file updates, and any other applicable costs such as SSL certificates or third-party services. Again, you’re going to want to make sure that you’re being offered comparable services from each provider. The key is to remain rational through this whole process and make sure that your choice reflects your actual business needs. Don’t get too attached to any one choice early on. Things like attractive branding and an extremely likable sales guy don’t necessarily correlate with quality websites, and really shouldn’t have any influence over your decision. Do your best to take those things completely out of the equation. While they can occasionally be easy to manipulate, you may be able to find some great information about a company based on the experiences of their past clients. While the reviews and testimonials on their own website are obviously likely to be a bit biased, they are still useful. You should have done a bit of this in step #1, but now that you know more about these companies you may want to take a second look! Augment your search with review sites like Yelp, Google Places, and your own network if you know anyone that has worked with them. If nothing else, this section of your search may reveal some terrible reviews that will help you immediately eliminate a company. It’s critical not to get locked into anything at this point. The details should all be located in the fine print, and you’ll want to make sure you read and understand everything in there. Ask questions if you’re not sure! Get a lawyer involved if you feel it’s warranted. Some companies will retain ownership of the website in its entirety, and that can put you in a bad position! This is not the industry standard, luckily, but it is still relatively common. If you get stuck with a company like this, you may not ever be able to leave them without having a completely new website built. If they wrote the content, you’re going to want to make sure you get ownership of that as well. Otherwise, you won’t be able to reproduce it anywhere beyond the site and if you want to leave them, you’ll have to re-write all of the content even if you otherwise own the site. Many predatory companies will offer to “write” the content for you when in reality they are using the same content for you and thousands of other websites. This will absolutely devastate your website’s effectiveness and if you discover this is what they’re doing, you should run for cover. These companies may not be upfront about this practice, even in the fine print. You might want to try Googling some of the text on their client’s websites to see if it’s been reproduced elsewhere. If you are feeling suspicious, you may even request that a section about unique, original content be added to the proposal. There are many forms of website agreements, and some are more prohibitive than others. The least problematic are the straightforward ones: it’s common for companies to charge for a third or half of the project up-front, with the rest due before project completion typically (we generally follow this practice). Second to that is a schedule where the website is simply paid for over a period of time, say two years. The ‘total cost’ is known, but payments are spread out over the duration of time. If the client wishes to opt-out early, they are just required to buy out the rest of their payments. This is fine as long as both parties are in agreement and fully understand how this will work. What you want to avoid is the companies that provide a very low or negligible up-front cost, but a relatively high ongoing cost in perpetuity. These tend to be the companies that provide low-quality or duplicated websites and make their money by having thousands of clients, all locked-in to these high payments that add up quickly. Even some of the best website creation companies are completely disinterested in ongoing maintenance and will magically disappear after the site is built. You need to make sure you have an out if this happens. I generally would not recommend any kind of long-term contract or exclusivity agreement. If the relationship turns sour, you are going to wish you could go elsewhere. And if you can’t, that’s going to cause problems. One last thing to note is that even if there is no contract or fine print about having to stay with them, there are other, sneakier ways some companies force you to stay with them. Proprietary technology is a common method. They provide some functionality on your site that is crucial for its functionality, and then require you stay with them in order to use this technology. Or, they simply provide such all-inclusive services to you (CRM, Accounting, Invoicing, Taxes, etc) that it’s nearly impossible to go elsewhere. Either way, it’s somewhat predatory and you’re going to want to make sure you know what you’re getting yourself in to. If I’ve scared you – I apologize! There are tons of fantastic web development companies in the Twin Cities today. We like to think we are one of them but that doesn’t mean there aren’t other great choices out there. The critical thing is to not make a snap judgement. Focus on the quality of the work and your own business needs. Everything you do should be to improve your business! It’s not about your pride or vanity; it’s about building your business. Remember that.